Maesyffin Mushrooms, Maesymeillion, Llandysul, Ceredigion, Wales, SA44 4NG. 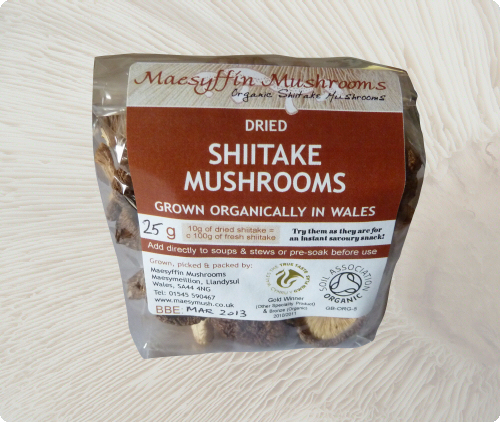 Maesyffin Mushrooms have been growing their award-winning organic Shiitake mushrooms in rural West Wales since 2003, in a system originally developed by Humungus Fungus. The entire process is certified as organic by the UK Soil Association. These days we also grow Lion's Mane, Reishi and Trametes mushrooms - all organically of course. Our fresh mushrooms are sold through local retailers, and are used in local hotels and restaurants. The True Taste judges said they were excellent quality" and had "a good shiitake taste", as well as "Woody - good flavours - great raw and cooked". On November 11th 2010 Maesyffin Mushrooms' Fresh Organic Shiitake Mushrooms won a Gold True Taste Speciality Product award and Bronze in the Organic Product category to add to their 2008 True Taste Speciality Product (Healthy Options) Winner's award and Commended awards for 2006 and 2007. SUSTAINABILITY - At Maesyffin Mushrooms we grow all our mushrooms organically (certified by The Soil Association), using locally-sourced materials wherever possible. Which means that we grow our spawn on locally-grown organic grains, and our mushrooms on wood chip we have made ourselves from local hardwood 'brash' (tree trimmings and hedge cuttings which would otherwise just be burned in the field). Our sawdust is mainly oak and is a waste product from local woodcrafting workshops. The organic bran we use is produced at Felin Ganol water mill at Llanrhystud. Our electricity is 100% green energy from Octopus Energy and local deliveries are powered by self-made biodiesel from locally-sourced used cooking oil. Shiitake are a good source of protein, potassium, phosphorus and vitamins as well as selenium & zinc and other essential trace elements. They also contain all the essential amino acids. Shiitake is very popular in China and Japan, where the majority of the world’s shiitake are grown and consumed. 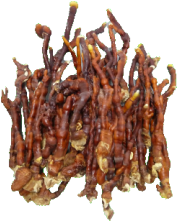 It is a leading source of the Umami (or "deliciousness") Taste, especially when dried. Shiitake works well with red meats in particular, but also chicken and other meats, vegetables and eggs. The stems should be kept as they are full of goodness and flavour and can be used for a highly nutritious soup stock or used in pâtés or mushroom roasts. 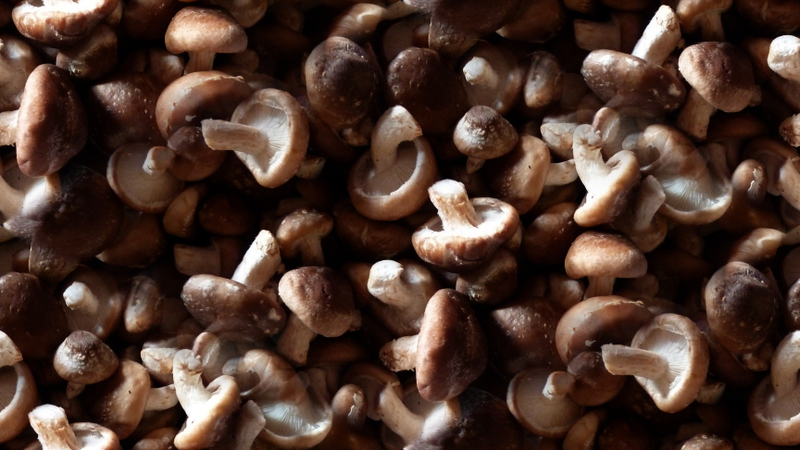 Shiitake can be added to casseroles, quiches, bread and other baked items, as well as used in traditional and modern Asian recipes. Oh, and they are great fried slowly and served on toast. And then there's shiitake 'bacon' ... Vegetarian umami heaven! SHIITAKE is the second most cultivated mushroom in the world and the most popular of the "exotic" mushrooms. 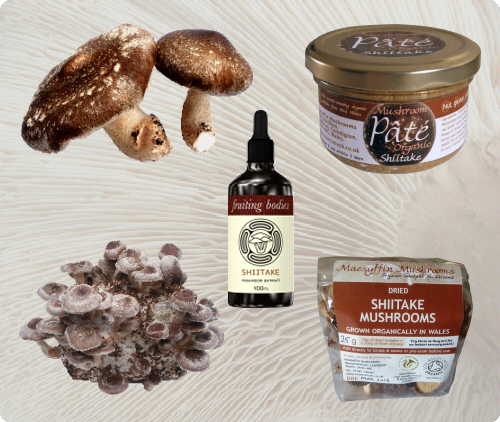 Shiitake are tasty and nutrituous and can be used in many culinary ways. UK GROWN? You may have seen this on fresh mushrooms - but what does it mean? That the mushrooms are grown in the UK? Well, yes. But did you know that the mushrooms could have been grown on substrates imported from another country - most likely China? The fruiting blocks are made on an industrial scale - using Chinese materials & Chinese labour - and then transported in shipping containers to the UK, where they are unloaded, put into growing rooms and fruited to produce mushrooms. UK grown, certainly, but UK produced??? 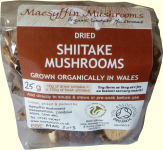 Maesyffin Mushrooms' shiitake are grown organically in Wales using locally-sourced woodchip and sawdust substrates. Shiitake (or Chinese Mushrooms) have been cultivated on hardwood logs for centuries, but it can be an unpredictable business - usually taking more than a year before fruiting, and then only in spring and autumn if the logs are kept in natural conditions outdoors. Fortunately, shiitake can be grown all year round on artificial 'logs' made from wood chippings and sawdust. The sawdust comes from clean mill waste and planings, and the chippings are made from small oak and other hardwood branches. From inoculation to fruiting takes 8-14 weeks and each fruiting block can produce more than one flush of mushrooms. Once spent, the block may be broken up and used as a substrate for growing other mushrooms, composted, or burned in wood burners or bio-mass boilers to provide heat. CONTRARY to popular belief that all mushrooms grow in the dark, Shiitake, like most mushrooms, need light to grow, as well as a reasonable humidity and temperature to grow in abundance. Sally W (Manchester) ‘Working my way through the mushrooms I bought ... delicious. I will be in touch for more as soon as they run out. It takes around 1kg of fresh shiitake to produce 100g of dried shiitake. for 20-30 minutes. Or try them as they are for an instant savoury snack! One cup of dried mushrooms soaked with one cup of boiling water produces around one and a half cups of mushrooms. A word about packaging: Our fresh mushrooms are sold in brown paper bags, never in plastic boxes! Our dried mushrooms are packed in either cellophane or plastic bags. 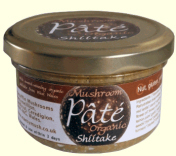 Shiitake pate is in recyclable glass jars. Any carrier bags used are biodegradable. Wherever practical, recyled packing materials are used for posting out orders (for example fruiting blocks) - this helps reduce both waste and costs. gluten, animal and yeast-free. Suitable for vegans and vegetarians. 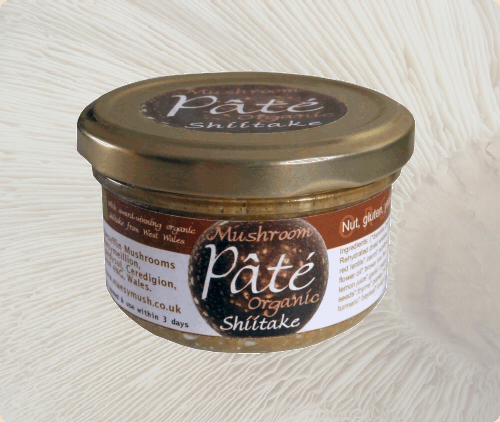 100g jars of nut, gluten, animal & yeast-free pâté made with award-winning organically-grown shiitake mushrooms. Sealed and cooked in the jar for an ambient shelf-life is at least 10 months . Available by mail order as well as from local retail outlets. WHAT'S IN IT? Dried shiitake (33%), red lentils, onion, carrot, sunflower seeds, brown rice flour, sunflower oil, sea salt*, lemon juice, garlic, pepper, thyme, parsley, palm oil (sustainable), mace, maltodextrin, turmeric, bay leaf, lovage. FRESH SHIITAKE are available by post - please get in touch for prices and availability. Pick your own fresh shiitake mushrooms from an organically-produced “Fruiting Block”. Each block is pre-inoculated with spawn and has been incubated for between 8 and 12 weeks until it is on the point of producing its first crop of tasty shiitake mushrooms. After a little resting, your block can continue producing more mushrooms over the next few months. Blocks are only available for sale to UK addresses. IF YOU ARE ORDERING FRUITING BLOCKS, PLEASE CHOOSE EITHER 1st CLASS or PARCELFORCE48 AS YOUR SHIPPING OPTION IN THE SHOPPING CART. Blocks will not be sent by 2nd Class post. *Each block weighs around 1.7kg, which is why P&P is expensive. 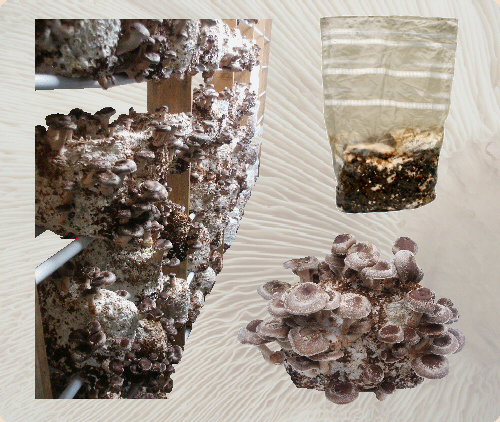 Grow your own shiitake mushrooms at home from one of our ready-to-grow fruiting blocks. These are the same blocks we grow our own fresh shiitake from. Instructions included. Please be aware that blocks will need to be opened within 3 days of despatch as mushrooms will be triggered to grow by the movement of being shipped. Please bear this in mind if you are ordering a block as a gift. 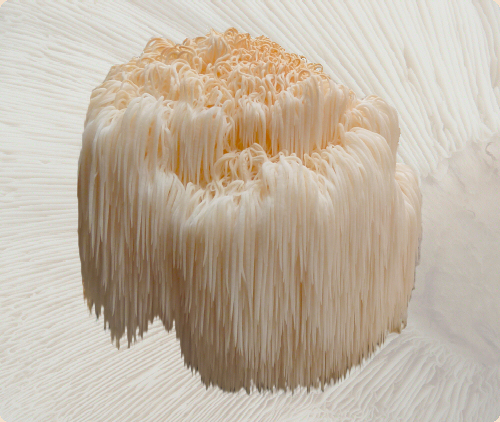 Our organic Lion's Mane mushrooms are grown on locally-sourced hardwood substrates supplemented with organic bran. Lion's Mane is a bearded tooth mushroom which grows in the UK on dead trees and is now legally protected from collection in the wild. Thankfully, it can be cultivated, as it makes a tasty culinary treat - said to taste like lobster when cooked in butter. It also has a high protein content, contains a variety of polysaccharides and Vitamin D2. Available as both dried mushrooms and powder-filled capsules. Apologies - Dried Lion's Mane is now out of stock. Hopefully back in mid-2019. Vegetarian size 0 capsules containing an average of 470mg pure, organically-grown, dried Lion's Mane mushroom powder per capsule. Our organic Reishi mushrooms are grown on locally-sourced hardwood substrates supplemented with organic bran. They are slow-growing, typically taking at least 6 months to reach maturity. Reishi are still growing, so no harvest yet . . .
Reishi is a hard, woody mushroom, and has been used for millenia in the Far East. It is often ground and taken as teas, tinctures and capsules, or mixed with coffee. This variation of Red Reishi is known as 'Antler Form' and is grown organically by Maesyffin Mushrooms. 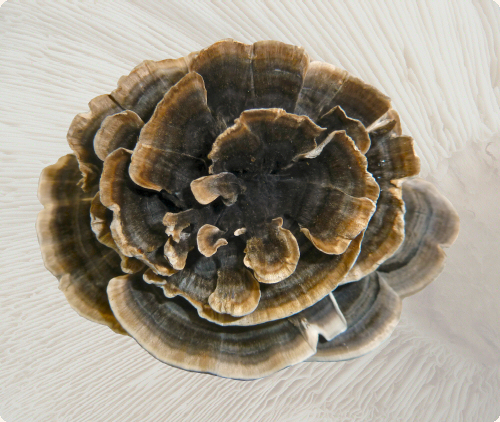 Turkey Tail is a tough, fibrous mushroom which is often used for teas and tinctures. Grown on Alder logs sustainably harvested from a nearby organic farm, Trametes versicolor is often called 'Turkey Tail' as it resembles the fanned out tail of a turkey. Sorry - not currently available. Shiitake mushrooms remain in the vanguard of beneficial mushrooms and their safety is well established, given the popularity of this culinary favourite. 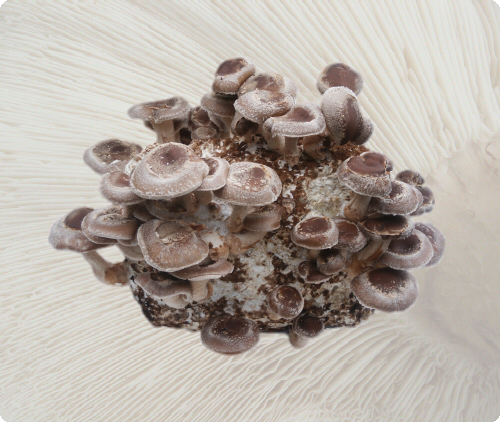 Maesyffin Mushrooms' organic shiitake are used in Fruiting Bodies' organic mushroom extracts. You can find much more information about the properties of the various mushrooms used in the extracts by searching the Internet or by finding appropriate books and other reference material. These organic mushroom extracts (made & sold by Fruiting Bodies) are produced using only the dried fungus, alcohol and water. FRUITING BODIES organic mushroom extracts are based on single species or blends of complementary fungi. Fresh shiitake keep well in a paper bag in the fridge. a more concentrated, smoky flavour. Wild Shiitake only grow in Asia, so any shiitake in 'Wild Mushroom' mixes are either imported or cultivated. 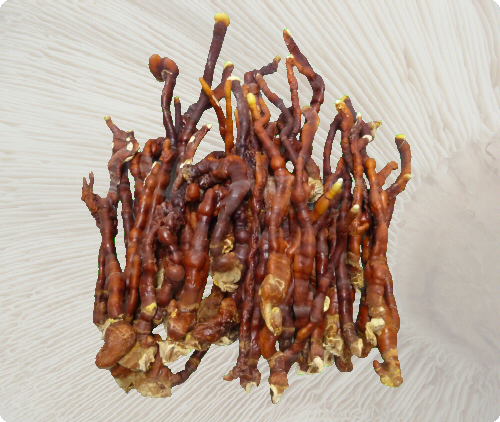 • Fungi Futures - Recycling Coffee into Mushrooms! This delightfully illustrated book opens with an introduction that covers the culinary qualities of over 30 wild and cultivated varieties of mushroom, as well as essential preparation and preserving techniques. With over 90 suggestions on how to incorporate the morning's harvest into hearty breakfasts, warming soups and broths, and all manner of meat, poultry, game, fish, shellfish & vegetarian dishes for every kind of culinary occasion. Fungi play a crucial role in supporting life on Earth, and we humans benefit directly through an array of fungal products, including foods and medicines. 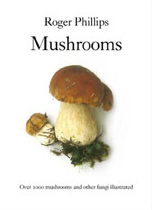 This book explores our relationship with fungi and our complex cultural attitudes towards them. Chapters include fungal biology, chemistry, cultivation, foraging and conservation. There is also a recipe section. Written for the non-specialist, and making full use of the extraordinary diversity and beauty of fungi through stunning images, this book provides a fascinating introduction to a group of organisms whose lifestyle means they remain largely out of sight, overlooked and forgotten. The reality is that there is much for which fungi should be thanked. Known as "the mushroom man", Antonio Carluccio has been collecting, cooking and devising recipes for mushrooms for over 60 years. Here he draws on his knowledge and expertise to bring together over 100 recipes that make the most of readily available mushrooms. A great book exploring the majesty and mystery, facts and fantasy of the quirkiest kingdom of life on earth. Fascinated by Fungi is an easy-to-follow introduction to a complex and largely unexplored kingdom of life and the history, mystery, facts and fiction born out of the fascinating foibles of mushrooms, toadstools and other fungi. More than 60 great recipes with mushrooms as the main ingredient. Information on history, varieties, and nutritional value is included. Features recipes for appetizers, soups, sandwiches, side dishes and entrees. Learn how to clean, store and prepare. Recipes include Mediterranean Mushroom Bruschetta, Mushroom Vegetable Soup, Chicken Mushroom Fajitas, Penne Mushroom Vegetable Pasta and much more. 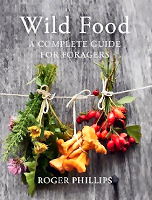 Roger Phillips is one of our leading experts on wild food and mushrooms. He has been foraging for decades and has influenced a generation of British chefs. Now, in this beautifully illustrated and authoritative book, he identifies hundreds of edible plants growing all around us, in our hedgerows, woodlands and fields, along river banks and seashores, even on inhospitable moorland. 'I can safely say that if I hadn't picked up this book some twenty years ago I wouldn't have eaten as well, or even lived as well, as I have. It inspired me then and it inspires me now' Hugh Fearnley-Whittingstall. With over 70 recipes this is the complete guide to cooking with all varieties of mushrooms - from shitake and oyster to crimini and porcini. Mushrooms demystifies these delicious ingredients and shows how they can be used in everything from Vegetable Tempura with Sweet Mirin Soy Sauce, to a Wild Mushroom Open Lasagne. 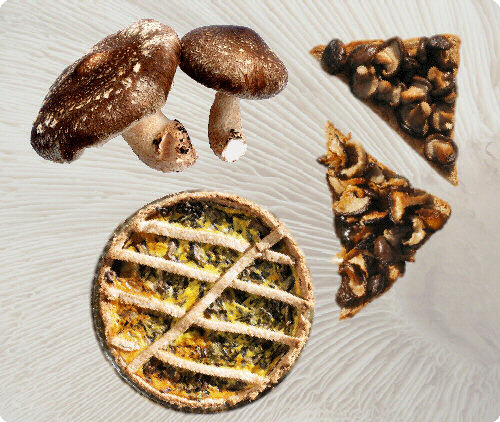 You'll discover how all types of mushrooms can transform your cooking. With over 600 colour photographs, this guide introduces the many different types of mushrooms, both edible and poisonous. In addition to identifying and describing a variety of different mushrooms, the book also includes valuable information such as where to collect mushrooms and how to store them. It also offers a range of recipes from mushroom pancakes and croissants to mushroom souffles and gravy, for anyone looking to explore the culinary variety made possible by savoury mushrooms. The culmination of over thirty years' work, this authoritative and superbly illustrated reference work is packed with the most up-to-date information and original photographs. This book is clear, user friendly and will appeal to a wide range of readers.